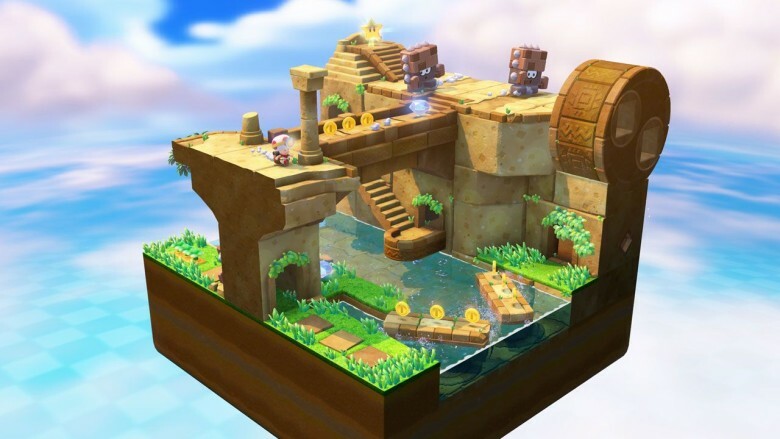 If you played last year’s Super Mario 3D World for the Wii U, you probably remember the “Adventures of Captain Toad” minigame in which an adorable little mushroom guy combed a series of square worlds in search of fortune and glory. 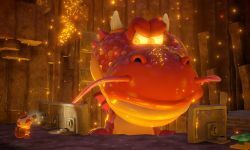 And if you couldn’t get enough of that mode, Nintendo has you covered with Captain Toad: Treasure Tracker, a standalone Wii U title composed entirely of that gameplay. Admittedly, building a $39.99 game around optional side content created as a diversion from a completely separate title sounds like a risky sell, but Treasure Tracker manages to provide a fun, challenging and surprisingly complete experience that lasts exactly as long as it needs to. 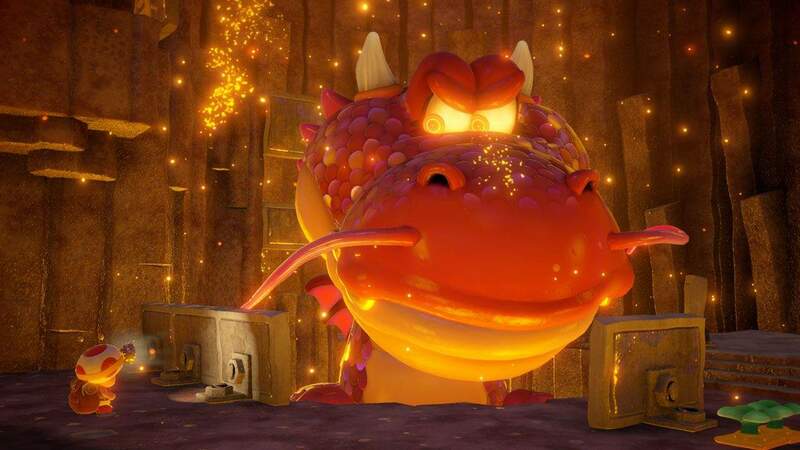 Captain Toad takes place across three “episodes” of 20 levels each. The basic idea is to get your fungal hero (or his companion Toadette) through a level to reach the star at the end. Along the way, you can pick up three hidden jewels and as many coins as you can reach. Each stage includes an optional challenge (e.g. “Take no damage”) that you can accept in future replays. None of the levels take very long if you’re just going for the star, but it’s worth going back to try to get everything because finding the gems and meeting the optional objectives will keep you busy without ever getting too frustrating. Everything just feels doable, and that’s a hard line to walk. The game is not without its issues, however. The main one is the camera, which has two settings. You can either see the entire level or zoom in. While each view has practical uses, you’ll run into times where you’ll want to take a middle view and just can’t. The other, smaller problem I had is that the Wii U’s GamePad screen shows exactly what’s on your TV despite the fact that you only have to use it to move certain platforms or turn the occasional wheel. I’d be sitting there trying to watch my larger screen while picking up the movement on the smaller screen in my hands, and then I’d do something on the GamePad and realize that I was still playing down there instead of switching my gaze back to the TV. It was distracting, but Treasure Tracker is still a fun and charming title that you definitely must check out if you have a Wii U. The good: Fun, simple and varied gameplay with charm to spare. The bad: A bad camera and distracting GamePad will keep you from fully immersing yourself. The verdict: It’s an unabashedly adorable title that will keep you thinking and smiling the entire time you play it.